Core Market is one of the most self-explanatory marketplaces I’ve ever been with, while it has its downsides like everything else, the upsides did impress me. We’ll be dealing with both the aspects of the marketplace with full honesty and transparency throughout this Core Market review. Note that this Core Market review, as well as every other single article on this website is completely and solely for educational purposes, use of these sites in any way is completely and solely your own responsibility. Supports Escrow, Multisig, 2-FA, and Security PIN. As is evident, it requires only minimum data which includes a username, a password, and a PIN. None of which is personal or can be used to link back to a user’s real-life identity. No Invite codes or verifications required either, once registered the accounts are activated instantly and can be used right away. Starting this Core Market review with its user-interface considering how the site feels and looks like is the very first thing users notice, features come after. The primary dashboard is as clean and simple as can be, there’s a top-bar with icons which lead to Notifications, Messages, Cart, Wallet and Account Settings. The left-sidebar houses a search bar, and the product categories as is the case with nearly every other Darknet Market out there, the centre-screen too is kept clean and only shows announcements and important actions that you should take (such as setting up 2-FA). It’s cleaner as compared to other marketplaces because most other marketplaces use the centre-screen to display products, Core Market doesn’t. The very bottom of the centre-screen shows 2 random products, still keeping it clean. Then there’s the right-sidebar, a new addition not generally found on other marketplaces. It shows your account username, and status (Buyer/Vendor), just below that is the Featured listing section. While the Tor network or Darknet Markets aren’t known for aesthetics, Core Market has embedded a beautiful slider which slides in when “Settings” is clicked revealing a list of important options and buttons such as orders, wallet, notifications and so on. Bottom line? You don’t have to be a geek to use or understand Core Market. Core Market has a total product stock of 1257 individual products in various categories which include Drugs, Digital Goods, Fraud, Goods and Items, Hacking, Servers and Hosting, Services and Software. The most product-rich category without doubt is “Drugs”, it accounts for over 50% of the marketplace’s total listings and has 652 products listed. It’s further categorized into various types of drugs such as Benzos, Opoids, Stimulants, Tobacco, Dissociatives, Ecstacy, Cannabis etc. Even in those categories, Cannabis makes for around 30% of the total listings with 212 products hence it can be safely stated that the most heavily stocked product on Core Market is Cannabis. Digital Goods is the category which stands next to Drugs when it comes to quantity, it has 485 individual products listed, which again are divided into categories such as E-books, Erotica, Guides, Movies, Databases, Templates etc. Basically, everything which doesn’t need to be shipped physically and can rather be dispatched digitally, and is either illegal, pirated or hard to come by in your local stores can be found in this category. The next product-type in line isn’t as impressive when it comes to quantity but can be worked with, Fraud has 54 products enlisted and broken down into sub-types such as Accounts and Drops, Carded Items, Cards, Data etc. Software is another well-stocked category on Core Market with exactly 46 listings and has 3 simple sub-categories which include Security software, Pirated Software, and Others. Hacking is the next category with 10 listings and sells products such as Hacking Books, Botnets, Malware or even directly Hacking services. Other minor listings on the platform include Services and Goods and Items, with 4 and 1 listings in them respectively. The former includes services such as Cashouts, Document forging and so on, the latter, however, comprises of products such as Counterfeits, Lab supplies, and Jewellery. If a vendor account is found selling any one of the above-listed items the account is instantly banned. 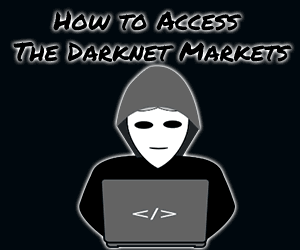 How secure a DarkNet market tips the balance a lot in or against the favor of a marketplace, the same holds true for this Core Market review as well. For starters, Core Market provides a Mnemonic code as soon as users register on the marketplace making sure the account PIN can be recovered if forgotten using the code. It also lays special emphasis on PGP based 2-FA and prompts users to set it up as soon as accounts are registered, even later the message to set this up is always displayed in the announcements section. 2-FA works just like any other 2-Factor authentication, it requires users to decrypt a PGP encrypted message in addition to the password in order to login to the accounts. Security PIN is another security feature that the marketplace offers, it’s required to make purchases or move funds to and from the accounts, this makes sure even if the account password and PGP keys are compromised the account funds remain safe. Then there’s Multisig to talk about, it’s a feature which requires the signatures of atleast 2 out of 3 parties for funds to be released, the three involved parties are the vendor, the buyer and the marketplace. This is an anti-scam mechanism making sure any kind of dishonesty would require the approval of atleast one other involved party. And the marketplace obviously has an Escrow in place which makes sure both parties get what they want with the least possibility of a scam, it also facilitates logding disputes with ease. The marketplace being a third-party marketplace allows anyone and everyone to vend/sell on the marketplace, provided they follow the set rules and deposit the USD $150 vendor bond. The USD $150 is paid back to vendors when the account reaches 20 successful sales, this bond however is waived for established sellers who can prove their rep on other marketplaces. The marketplace commission is 3% of sales on top of the vendor bond. There’s no separate registration for a vendor account, a normal buyer account needs to be registered first and then there’s an option which lets users convert the accounts to a vendor account. This is something that works in the favour of buyers, the level of details a marketplace reveals about its vendors helps users decide better and stray away from potential scammers or inexperienced sellers. This is something that CoreMarket needs to improve upon, the only details I could find about a vendor from their profiles was their level (which we’ve no way of knowing what it’s based on), user feedback, and number of Positive, Negative and Neutral reviews. What seems missing is the number of total Orders, number of refunds, number of disputes and other such details which could provide a deeper insight into a vendor. I pay special attention to how easy or hard it is searching for products on any marketplace is, this saves time and helps users land on more accurate results. It lets us set the exact minimum and maximum prices, choose the source and destinations, and even choose vendors who accept Finalize Early, or were recently online. Even though an extra filter for “currency” could make things better, I’m still satisfied with what’s provided for now. Core Market isn’t a Bitcoin-only marketplace but also accepts Monero. This provides users with more than just one option, which in turn makes a difference when it comes to transaction time required, fee and anonymity of the payment. Note that not all products accept both the currencies, some do while others may be partial to one of the above-mentioned modes of payments depending on the vendors. So that’s a wrap as far as this Core Market review goes folks, so we’ve talked about the UI, Products, Registration, Vendors, Payment Methods and even search functionality. That should be more than enough to get you a transparent insight into the market’s capabilities and potential, isn’t it? My final verdict on the marketplace is, the products are satisfactory, security features too. The UI is impressive however vendor transparency needs some work. Bottomline? It may be worth a try, ordering small amounts, establishing trust. Either way this is just what the neurons up my amygdala are making me think or feel, do drop your two cents on this Core Market review as well as the marketplace in general, hit the share button maybe? Dream Market Review – Oldest, Most Product Rich Market, Can it be Trusted?